In his Christmas reflection, Fr. Michael Perry, OFM, General Minister of the world-wide Order of Friars Minor, shares his thoughts on Christ’s birth and calls Franciscans — and all people — to model their lives and ministries ever more closely to the examples set by St. Francis and, more recently, Pope Francis. “In the beginning was the Word…. May the fullness of God’s peace, hope and joy be with you in this Christmas season! In his biography, Thomas of Celano speaks of St. Francis as a man totally centered on Jesus Christ, the “Word made flesh,” who dwells among us. 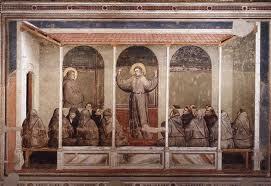 Frequent meditation allowed Francis to come to know Jesus intimately, and allowed him to be known by the Lord of Life. It was this deep relationship with Jesus that formed the foundation of his approach to living the Gospel in daily life. His awareness of being embraced by God and his subsequent passionate embrace of the message of Jesus transformed his every thought, emotion and action and became an inspiration for others. So deep was his burning love for God, a love that poured out into all of his relationships, that Francis could recognize clearly the divine image of God present in all people and all of creation without exception. The Incarnation took on special meaning for Francis, his brothers and others present at Greccio in 1223 as they re-enacted the birth of our Savior, celebrating the contagious and unlimited love of God. 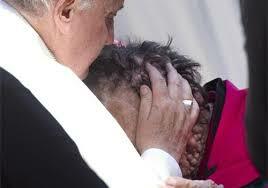 In this way Francis helped awaken within the hearts of all present a burning desire to know, love and serve the Poor Christ in holiness and justice, extending special care to the poor, marginalized and immigrants of the world. After the death of Francis, the friars sought to understand, systematize and disseminate his original intuition. As they contemplated the attitudes, actions, prayers and writings of Francis, they recognized that his most important insight was the discovery and celebration of a God who is relational, who creates all in love and destines all for love. God is one but God also is relational. From this, they came to understand God as Triune, a community of Oneness who seeks always to pour self out in love and goodness, or to quote the medieval axiom, bonum est diffusivum sui (“goodness is diffusive of its very self ” ). The Father is a fruitful, effusive “first” Person; from the Father’s primal fecundity come the Son and the Spirit. For the Blessed John Duns Scotus the mystery of the Incarnation was not the response of God to human sin; rather, the Incarnation of the Divine Word was part of God’s plan from the very beginning, God’s desire to bring to fulfillment the communion and love that God intends with all that He has created, humanity and all of creation. Communion and love, which flow from God in Jesus, also are to characterize the quality of relationships that all people are to enjoy reciprocally. Like the early friars, we also are called to discern how to live this message of communion and love faithfully and joyfully in our lives, fraternities and evangelizing mission today. Many of you dear brothers strive to live in communion with God and seek to share the experience and message of His unlimited love with all people, especially the poor and those suffering the consequences of violence, poverty and the abusive exploitation of the natural environment. During this season of love, light, hope and joy, we call to mind and address our brothers in Syria, who are surrounded by conflict and violence: your care for all Syrian people in the name of love and reconciliation inspires hope and reveals God’s ‘dwelling among us’. We remember our brothers living in the eastern Democratic Republic of the Congo who witness the dehumanization of God’s people at the hands of warring factions and greedy interests within and from outside the country: may the promise of the Incarnation, the promise of the gift of peace and reconciliation quickly become a reality for all peoples in your region. And you, dear brothers, who, in Europe, Africa, Mexico, Central and South America, the United States, Australian, Lebanon and other places, are reaching out in love to an ever-increasing number of immigrants, who have left their lands and countries in search of security, peace, dignity and new opportunities, we thank you for opening your lives and your fraternities to the least ones among us. We remember also our friars who minister to those suffering the devastating consequences of climate change and extreme natural catastrophes, in Haiti, and, more recently, in the Philippines: we pray for you, as you accompany the victims of Typhoon Haiyan with love and care, demonstrating the closeness of God who seeks always to bring life and hope to the world. One of the challenges offered to us in the gift of the Incarnation is that of going out of ourselves, reaching out to all of humanity as God reaches out to us. “Evangelizing presupposes a desire in the Church to come out of herself. The Church is called to come out of herself and to go to the peripheries, not only geographically, but also the existential peripheries: the mystery of sin, of pain, of injustice, of ignorance and indifference to religion, of intellectual currents, and of all misery.” These words, which were spoken by then Cardinal Jorge Bergoglio, Archbishop of Buenos Aires, Argentina, reflect a peculiarly ‘Franciscan’ understanding of the Incarnation and its consequences for the Church and the world. Pope Francis expressed his serious concerns about the danger of the Church becoming self-referential, of closing in on itself, of living a life of narcissism. Such an attitude weakens the Church’s ability to carry out its mission of living and proclaiming the Gospel. 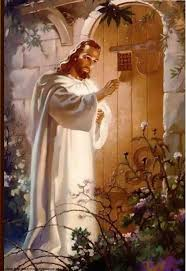 He made reference to a text from the book of Revelation, where Jesus knocks at the door (Rev. 3:20). While the text refers to Jesus knocking from outside to get in, Cardinal Bergoglio reflects on the times that Jesus knocks from within in order to get out. A self-referential Church – a self-referential Order – keeps Jesus locked up within and does not let Him out. He mentioned two images of the Church, one that hears the Word of God with reverence and proclaims it with faith, and the other that lives within herself, of herself and for herself. Pope Francis has made it a priority to go to the peripheries of the world, engaging its peoples through his apostolic zeal and his simple humanity, looking to understand their problems and seeking solutions together with all those of good will. People around the world, Catholic and non-Catholic alike, have responded enthusiastically. For us who are men of the Gospel and members of the Order of Friars Minor, how are we, in our daily lives, to imitate Pope Francis’ embrace of humanity, his desire to love, show mercy, and open his heart to others as God opens His heart to humanity? My dear brothers, we must ask ourselves how we can live and share the message of communion and love that we ourselves have received as a gift from God in and through His only beloved Son. How do we offer hope, joy and peace to one another in fraternity and to the people around us? How do we make a difference in the world, showing special compassion for those who are oppressed and vulnerable? 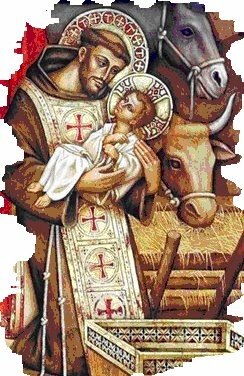 What difference does the Incarnation, the pouring out of the love and communion of God with each of us and with the entire world and created universe, make in our lives as Friars Minor? One response we might offer is found in the witness of Pope Francis who invites us to move into the existential peripheries of our world, promoting a Church and an Order that is open to the “joys and hopes, the grief and anguish” of the people of our time. 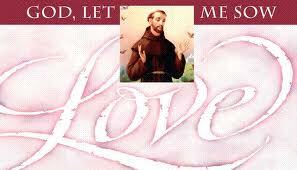 Saint Francis also offers us clear and practical recommendations for how we might demonstrate God’s communion and love. As Francis witnessed in all of his relationships, we too are called to approach people with courtesy, respect and with ears and hearts open to listen to the murmurs of their hearts, entering into their pain and their desire for a world made new. Like Francis, we are called to be persistent in our work, our service, keeping our eyes fixed on the goal and remaining faithful to our promise to walk with God’s people, especially the poor and oppressed, in humility and with hearts turned towards the Lord. And we, like Francis, must seek to take concrete steps – the rebuilding of a church in ruins – in order to be the reconciling presence of God in the world today, a world thirsting to death for peace. My dear brothers, may the power of God’s love, a love poured out in Christ Jesus through the Virgin Mary, give you comfort and encouragement. May the maternal love of Mary set your hearts afire! 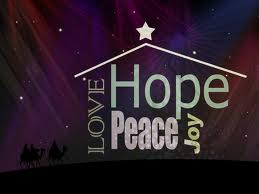 And may all of us be messengers of God’s message of peace, joy and hope to a world that is thirsting for Good News. See Kenan B. Osborne, The Franciscan Intellectual Tradition: Tracing its Origins and Identifying its Central Components, The Franciscan Institute, 2003, pp. 55-67. Fr. Michael Perry, OFM, was elected as General Minister of the Order of Friars Minor in May of 2013. This article originally appeared in the Dec. 23, 2013, edition of the newsletter of the English Speaking Conference of the Order of Friars Minor.